A sliver of a pale moon pendant. This crescent moon pendant is framed in 20 gauge silver wire, and wire wrapped in 24 gauge gold wire. 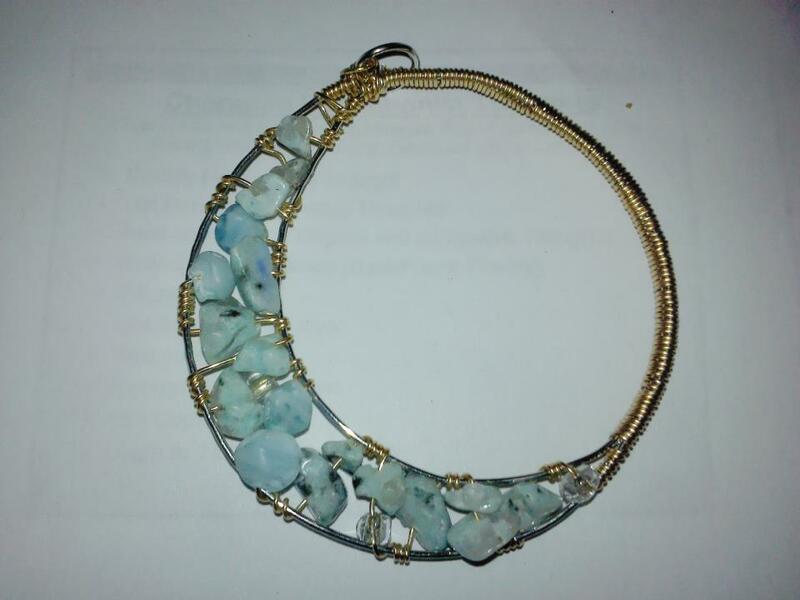 The moon is colored with pale blue semi-precious stone beads. I made this while housebound during an ice storm. Construction time was about 2.5 hours.